The new version of the AWS Ops Automator, a solution that enables you to automatically manage your AWS resources, features vertical scaling for Amazon EC2 instances. With vertical scaling, the solution automatically adjusts capacity to maintain steady, predictable performance at the lowest possible cost. The solution can resize your instances by restarting your existing instance with a new size. Or, the solution can resize your instances by replacing your existing instance with a new, resized instance. With this update, the AWS Ops Automator can help make setting up vertical scaling easier. All you have to do is define the time-based or event-based trigger that determines when the solution scales your instances, and choose whether you want to change the size of your existing instances or replace your instances with new, resized instances. 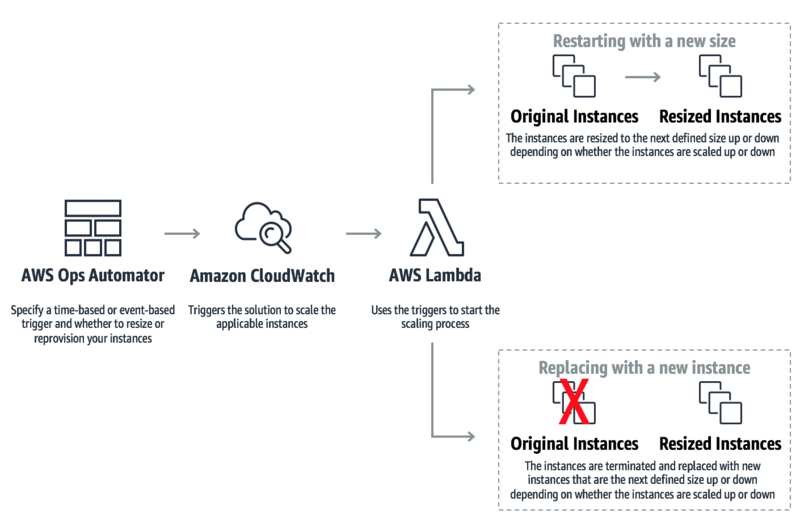 The time-based or event-based trigger invokes the AWS Lambda to scale your instances. When you choose to resize your instances by restarting the instance with a new size, the solution increases or decreases the size of your existing instances in response to changes in demand or at a specified point in time. The solution automatically changes the instance size to the next defined size up or down. Alternatively, you can choose to have the Ops Automator replace your instance with a new, resized instance instead of restarting your existing instance. When the solution determines that your instances need to be scaled, the solution launches new instances with the next defined instance size up or down. The solution is also integrated with Elastic Load Balancing to automatically register the new instance with load Balancers. To learn more, visit the solution webpage and request access to the private preview.